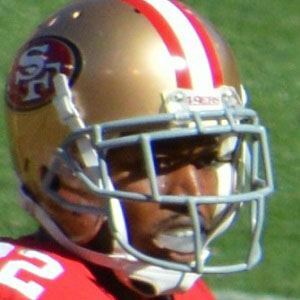 2011 Pro Bowl defensive back who played in Super Bowl XLVII with the San Francisco 49ers. He had a stellar career at Auburn, which led to him being drafted ninth overall by the Washington Redskins in the 2005 NFL Draft. His game faltered in later seasons with the Redskins, but he rebounded after joining the San Francisco 49ers in 2011. He grew up in Georgia with his parents, Linda and David, and sister Gianni Natalia. He became part of 49ers coach Jim Harbaugh's terrific defensive line-up.